Belarus, a former Soviet country located in Eastern Europe is looking forward in making the sustainable development the key principle of the national development policy. All three pillars of sustainability, noting environmental, social and economic are crucial for the successful integration of Belarus into the global economy. While achieving economic growth, Belarus needs to reduce its ecological footprint by, inter alia changing the way it produces and consumes goods and resources, recycle, reduce and dispose of waste and moves towards sustainable consumption. While country is facing major developments, Belarus people are becoming more demanding of products and services than before. They require information about product safety and sustainability, product ingredients, instructions for recycling or disposal. There is a growing public interest in “green” products and services, including food, personal care products, clothes and more. Consumers are looking for reliable and accessible data about products they buy. 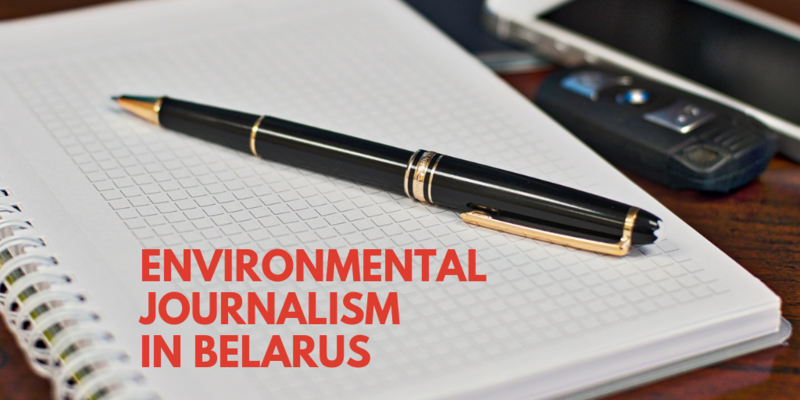 However Belarus still faces a clear shortage of information sources which can provide the general public with information it needs to minimize environmental footprint and ensure the safety of products. Non-governmental organisations remain the major source of the information which the general public is looking for. However they need trainings and capacity building to ensure their skills are high enough to educate consumers and Belarus public about product safety and sustainability, product chemical content, available safe alternatives and more. They also need to establish close links with media and train journalists about issues of sustainable consumption and production, Sustainable Development Goals (SDGs) and the role of consumers in the globalized economy. HEJSupport cooperates with the Center for Environmental Solutions (CES) in Belarus to support the development of a stronger, more pluralistic and independent media in Belarus, by building a long-term strategic partnership between NGOs and journalists in Belarus and Germany and by strengthening the capacity of journalists and bloggers in Belarus and Russian speaking countries who cover a variety of sustainable development issues, including the implementation of SDGs, the Right to Know and other principles that shed a light on important topic which are currently under represented. The work is financially supported by the German Federal Foreign Office.